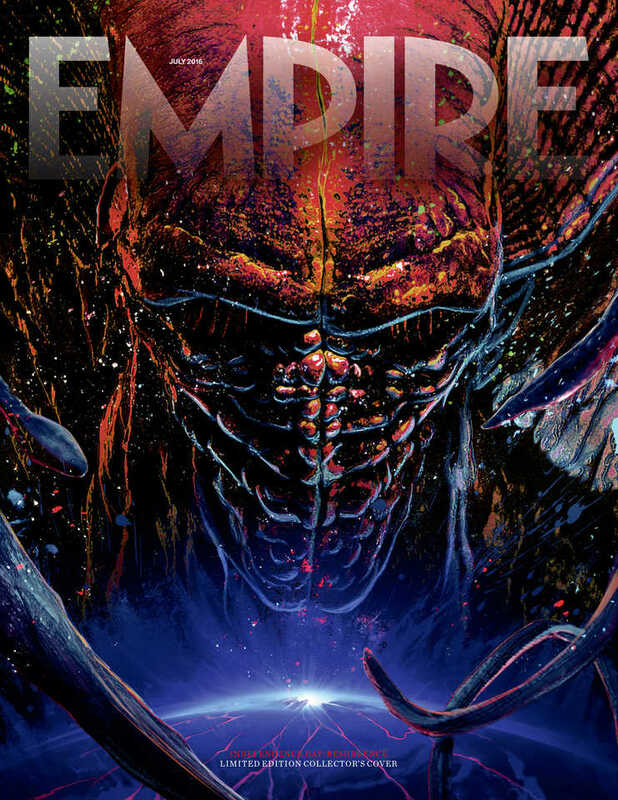 Fox’s media blowout for all things Independence Day: Resurgence continues today, with a host of new images arriving via Empire. Nipping at the heels of today’s epic, five-minute trailer – which essentially presented a roadmap of the sequel’s plot and all of its sci-fi glory – these new stills place a laser focus on the reinvigorated alien threat, who descend on Earth a full two decades after the War of ’96 to enact their revenge. Indeed, it’s an ancient alien ship that acts as the catalyst to Roland Emmerich’s barnstorming showdown, beaming a distress signal into the far reaches of space and essentially rallying the extra-terrestrial reinforcements. If you’re wanting to get a fairly sizeable taste of the CG-laden carnage that awaits, that aforementioned extended trailer offers up all the story details you’ll need before the sequel graces theaters in little over a month’s time. Heck, it even features a rather meta quip from Jeff Goldblum’s returning David Levinson about the alien’s tendency to destroy international landmarks. Pushing back against extinction once more is Bill Pullman – back as the former President of the United States – who stars opposite Goldblum, Judd Hirsch, Vivica A. Fox, Brent Spiner, Charlotte Gainsbourg, Jessie Usher, Maika Monroe and Sela Ward. Independence Day: Resurgence touches down in theaters on June 24.